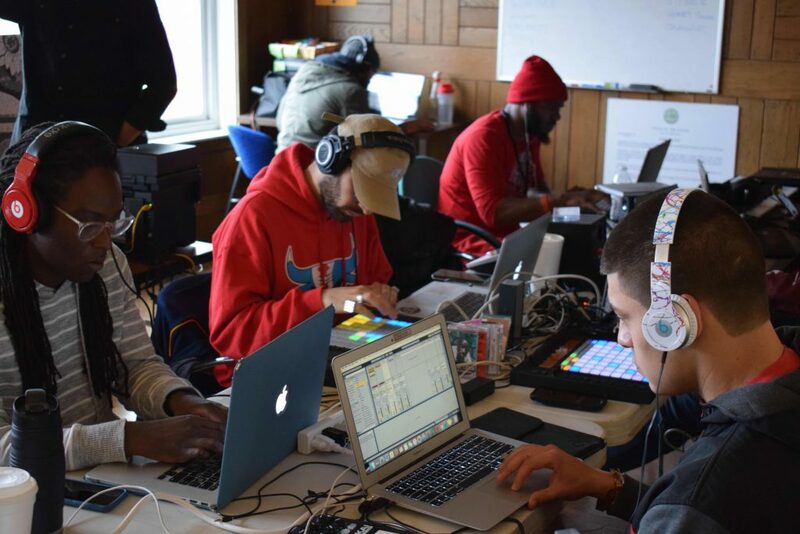 Using hip-hop culture, literacy, and audio engineering as pedagogical approaches to developing and engaging urban youth as educated agents in their communities. Dr. Kisha N. Daniels studies the intersection of curriculum, pedagogy and marginalization. She teaches courses in the Program in Education (Foundations of Education, Educational Psychology, Children, Schools and Society, Educating Adolescents, and Special Topics in Education). Dr. Mark Anthony Neal is Chair of the Department of African & African American Studies and the founding director of the Center for Arts, Digital Culture and Entrepreneurship (CADCE) at Duke University where he offers courses on Black Masculinity, Popular Culture, and Digital Humanities, including signature courses on Michael Jackson & the Black Performance Tradition, and The History of Hip-Hop, which he co-teaches with Grammy Award Winning producer 9th Wonder (Patrick Douthit). He also co-directs the Duke Council on Race and Ethnicity (DCORE). Photo: Courtesy Kisha N. Daniels. DukeEngage-Chicago 2019. Hip-hop is the language of today’s youth. It speaks to their hopes, dreams, struggles, and realities. The DukeEngage-Chicago program seeks to support community organizations in their efforts to retain the thousands of secondary students who are marginalized and/or who choose to leave our education systems. Participants will gain an understanding, awareness and application of culturally relevant pedagogy through the lenses of critical race theory, intercultural competence, sociology, psychology, public policy, and education. 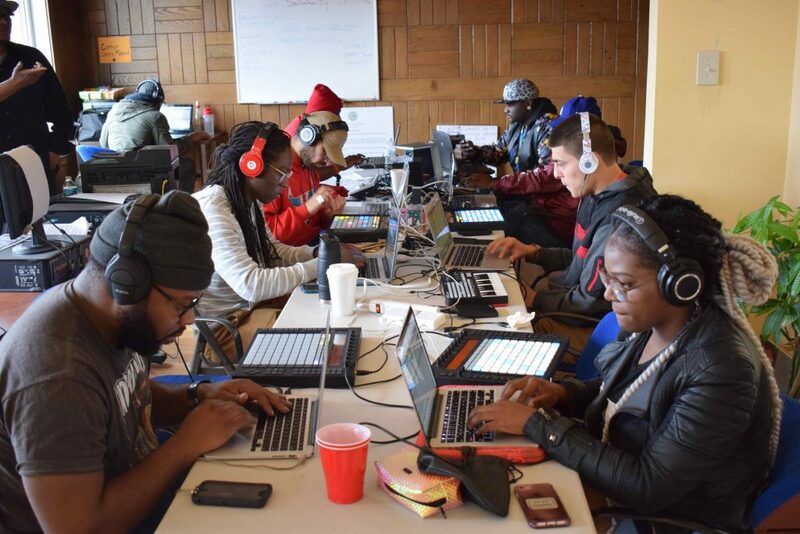 They will be placed in one of several youth-serving organizations within the Chicagoland area that use hip-hop language arts, hip-hop based audio engineering, and hip-hop culture as a pedagogical approach to teaching and developing youth. 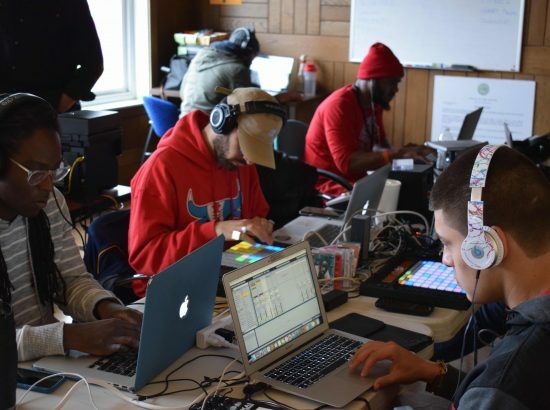 Each of these organizations focuses on different subject matter (creative writing, civic engagement, leadership development, music technology) and different populations (e.g., formerly incarcerated adolescents, Arab-American youth). In each of these placements, Duke students will work directly with youth engaged in various educational, civic engagement, social justice, and artistic initiatives. connect and apply knowledge from the DukeEngage experience to their area of study, using it to comprehend, analyze, and/or challenge existing theories and frameworks. 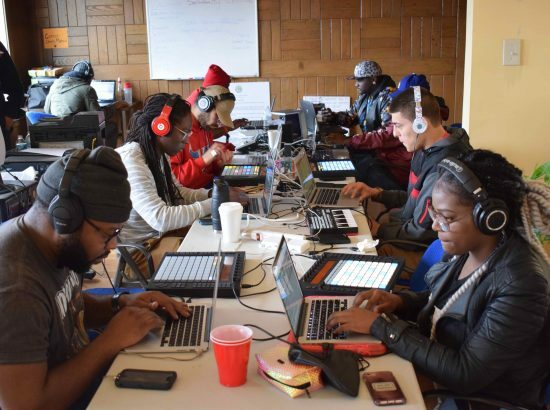 Solidarity Studios, one of the first community managed arts spaces in the Southside of Chicago, begins with a simple premise: giving people the tools and resources they need to tell their story and galvanize their communities around the issues that affect them most. Summer in Chicago can be a dangerous time for many youth. The weather is hot and often times neighborhoods lack the safe spaces and activity options for youth to spend time together engaged in quality relationships and enrichment. We will be supporting several community groups with whom Solidarity Studios has partnered. 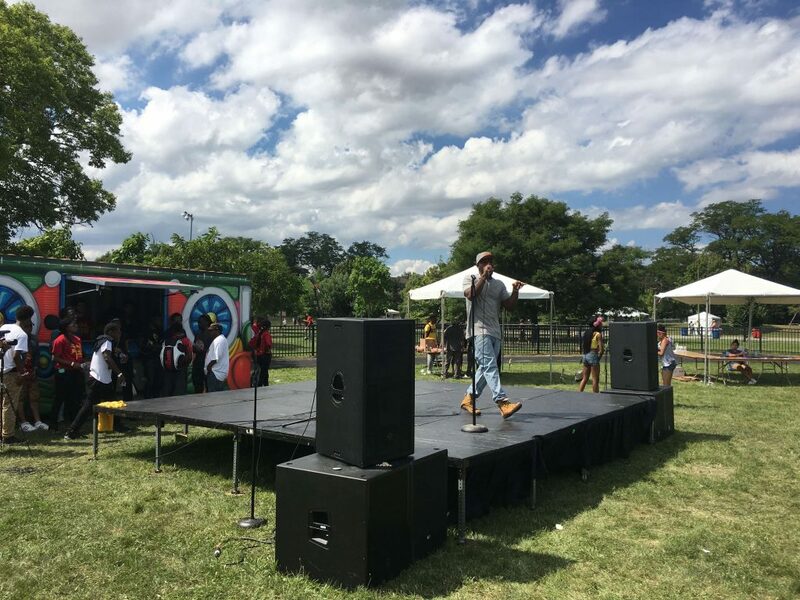 In each case, these organizations engage youth and the community via the arts around issues as diverse as food justice, criminal justice reform, housing development, and anti-discrimination work. Solidarity Studios works with each organization to establish summer workshops around their specific goals, elevating their musical capacity and connecting their struggles to the struggles of youth in other locations. DukeEngage students will be engaged in activities such as leading workshops, assisting with curriculum development, shadowing community activists and educators, participating in planning processes, mentoring, assisting with music production and engineering, community researching (interviewing, data collection, sample evaluation, etc. ), youth organizing, and action research training. Activities may take place in a variety of environments (office/school setting, or outdoors), and the day-to-day work of the program may require that students interface with adults and youth (ages 12-18). Arab American Action Network — Chicago’s oldest Arab-American community group that aids the community in issues of immigration, local adjustment, education, and political advocacy. 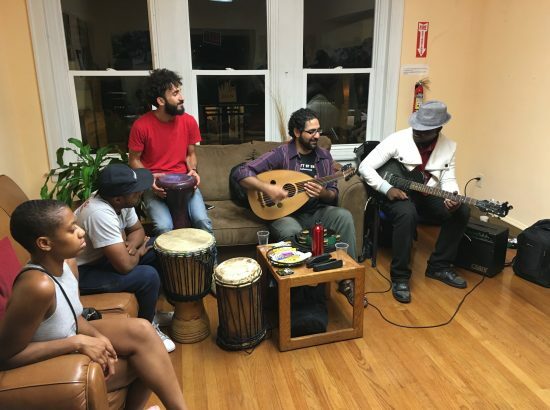 Their summer youth program is over two decades old and regularly engages Arab and non-Arab youth from the South/Southwest Chicago communities. 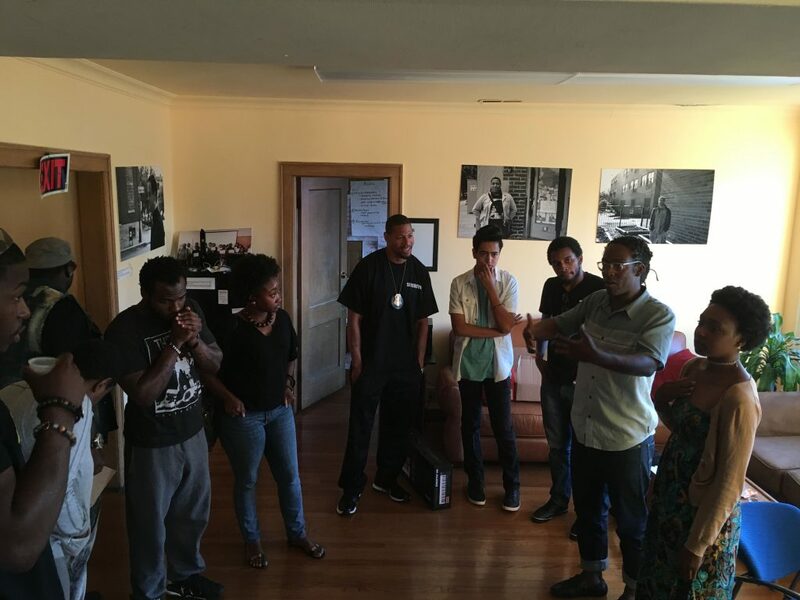 Circles & Ciphers — A support group and leadership development program for youth who have had encounters with the criminal justice system. 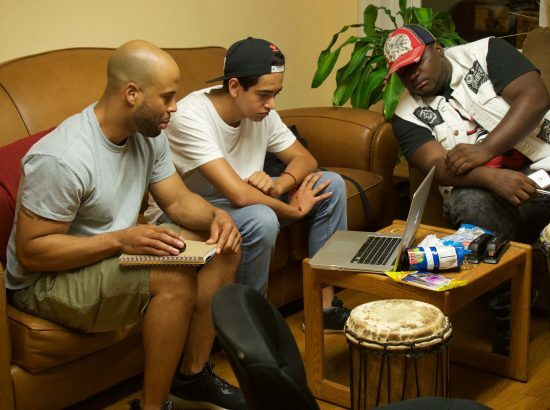 Circles & Ciphers employs hip-hop to amplify their voices and interrupt intergenerational patterns of violence. 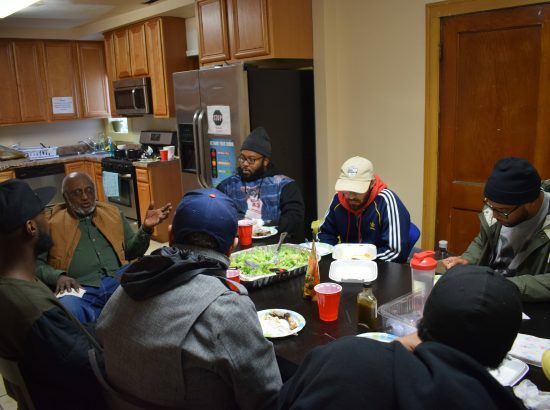 Inner City Muslim Action Network (IMAN) — IMAN was founded on the premise of the “beloved community” and holistic lifestyle improvement. 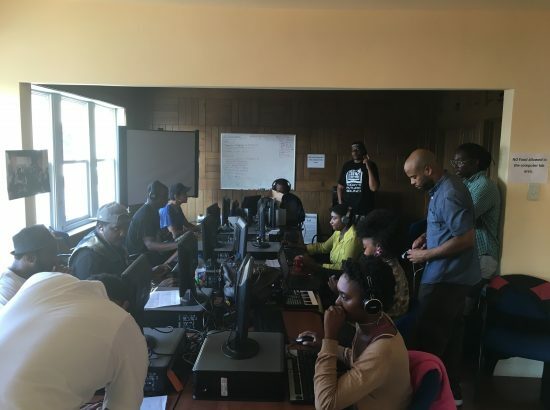 They infuse education, healthcare services, advocacy work, and arts festivals regularly to engage a broad swath of the south side Chicago community in meaningful improvement of their neighborhood and livelihoods. Young Chicago Authors (YCA) — Encourages young people to document their daily lives in their own words. In the spirit of hip-hop, YCA adheres to the idea that everyone has a story to tell, and anyone is allowed to participate in the cypher. This practice encourages a deep kind of listening that leads to radical empathy. YCA believes that youth voices must be at the center of civic discourse, from classrooms to city hall. This aims to put young people at the center of their learning experience as a way to engage them in their own education. YCA empowers students, some of whom have been disenfranchised by the educational system, to pursue their academic and artistic ambitions. Coursework: Interested students should strongly consider enrolling in a Spring Special Topics course on Urban Education/Culturally Relevant Pedagogy. 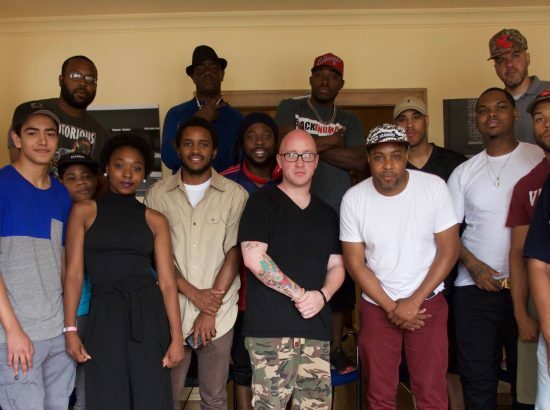 This course will include a service-learning experience in hip-hop pedagogy through the nearby Walltown Community Center in Durham. If students are unable to enroll in this course, they will be required to attend a series of lectures, readings, reflections, and intercultural competence trainings. The following additional courses are helpful to have but not required. Students who apply AND have taken some/all of the courses will be given preference. The program also seeks to engage students who are interested and/or have an affinity for the Arts (visual and performance). Flexibility: Your ability to focus, refocus, and adapt to changing situations. Communication (auditory, oral, and written): Your ability to hear what people say and reflect on it. Self-Motivation: Your ability to self-start, seek solutions to perceived challenges, and take a course of action. Diplomacy: Your ability to share power, collaboratively make decisions, and ultimately be willing to accept the outcomes. Creativity: Your ability to make something — ANYTHING (rather than break something down). When something is truly “creative,” it envisions an alternative and conjures an image of how things might be! Intercultural Competence: Your ability to effectively manage the diversity around you, the diverse backgrounds, sensitivities and thoughts of others. While all students are welcome to apply, this program may be of particular interest to students studying Education, Public Policy, Sociology, Psychology, and/or African and African-American Studies. 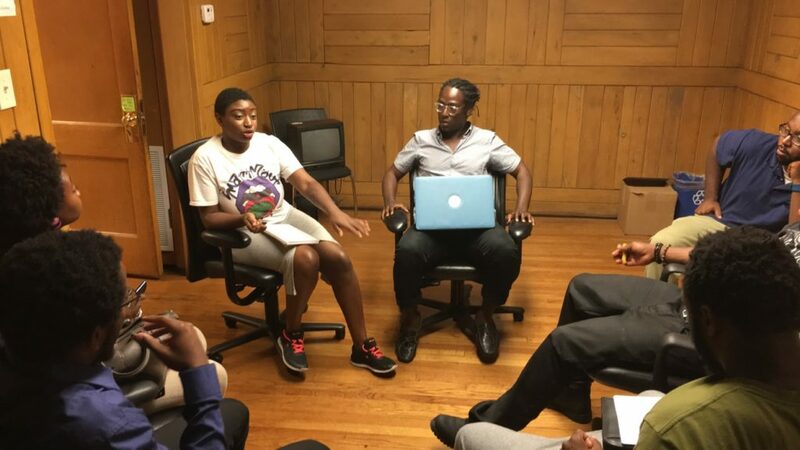 A Special Topics course and a Duke Immerse experience in Urban Education are currently being developed for students pursuing the Education Minor. Innovation and Entrepreneurship Certificate: Examples of different types of experiences include, but are not limited to, innovative and entrepreneurial internships, research, civic engagement initiatives, independent projects, or work developing an independent venture. Honors Theses/Undergraduate Research: Research can be pursued through coursework, jobs such as research assistantships and internships, summer programs, or as volunteer work. Some students participate in formalized research programs, but you can also craft your own path independently and receive Duke support through credit, grants, and fellowships. 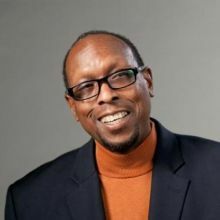 Bass Connections: This initiative strives to create a distinctive new model for education, predicated on collaborative and interdisciplinary inquiry, which actively engages students in the exploration of big, unanswered questions about major societal challenges. Description of Community: Located on Lake Michigan, Chicago is among the largest cities in the U.S. Famed for its bold architecture, it has a skyline punctuated by skyscrapers such as the iconic John Hancock Center, 1,451-ft. Willis Tower (formerly the Sears Tower) and the neo-Gothic Tribune Tower. The city is also renowned for its museums, including the Art Institute of Chicago with its noted Impressionist and Post-Impressionist works (https://www.choosechicago.com/). Chicago’s South and West sides are richly diverse communities that have been acutely affected by the financial crisis and by globalization, which have taken numerous jobs out of these areas, dampened investment, and resulted in wide swaths of foreclosed and neglected properties. Additionally, the Southside of Chicago is home to the nation’s largest Palestinian diaspora community: by some estimates, as many as a quarter of all Palestinians living in the U.S. live in the Chicago area. 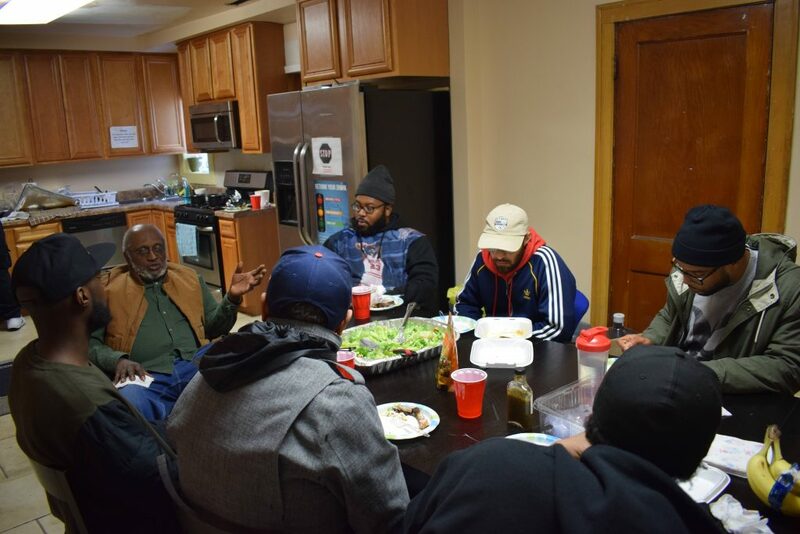 Local grassroots organizations are working each day to solve problems such as food deserts, job training, access to public education and health care, and giving youth non-violent avenues to address grievances. Solidarity Studios’ community partners all have origins in grassroots movements that trace back to the Civil Rights Movement, employing methods of local grassroots organizing, community-based critical pedagogy, and diverse methods of using arts for social change. 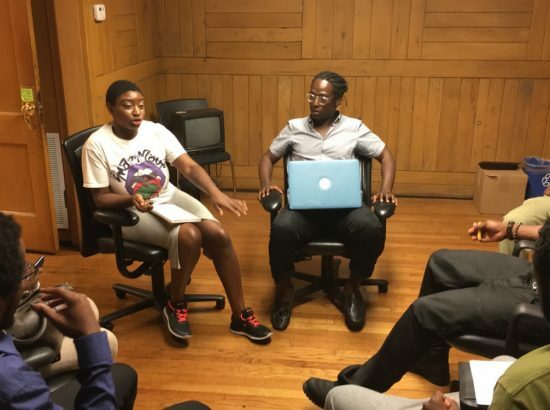 They draw on the social capital of a network of thousands of educators, “artivists,” and organizers of color who have deep connections to Chicago’s history, including the African-American Great Migration, the Congressional and mayoral campaigns of Barack Obama and Harold Washington, and the Chicago hip-hop arts renaissance. Music and the arts have always been means of expression mirroring the reality of life there. As such, the South Side is home to many unique musical and artistic styles. Though many youth turn to artistic expression to relate their struggles and rally support, the neighborhood lacks infrastructure to help nurture these young activists. Housing and Meals: Students will reside in a university dorm in an urban location. Students should anticipate that there might be the likelihood that they will share common spaces (bathrooms/kitchens) and possibly bedrooms. They will receive a stipend to purchase food and prepare their own meals. Transportation: DukeEngage provides or arranges transportation to and from service placements and all scheduled program activities utilizing public transportation wherever feasible. Public transportation in Chicago is extensive and widely used by local residents and tourists, and will be used by program participants to travel to and from work and most group activities. Communication: We assume all students will have a personal cell phone for program-related and emergency communication. Students will have reliable Internet access at their lodging accommodations. Depending upon the work site, Internet may or may not be available. How do you understand the difference between charity (responsible for others) and service (responsible to others)? Who or what determines the need for activism? How does that play a role in predicting the success of the activism? What makes someone a strong and effective leader or activist? How does this predict the success of activism? How do you think art and activism are connected? Why might there be a need to focus on culturally relevant pedagogy in education? How do you think art and culturally relevant pedagogy are connected? What did you find most interesting about these lessons or activities? What was the most challenging thing for you about these lessons or activities? Other Opportunities: Prior to beginning the field placements, there will be scheduled enrichment activities to orient students to the community where they will be living/working, and to familiarize them with the transit schedules. Participants will have one or more evening commitments per week, and most weekends will include organized activities that complement the program theme and goals. Many events will be facilitated/guided by Duke alumni, local community activists and/or University faculty and staff. Possible activities include museums, guest speakers/panels, school tours, and visits to sites of historical or geographical importance. Open water swimming is not a sponsored activity in any DukeEngage program. 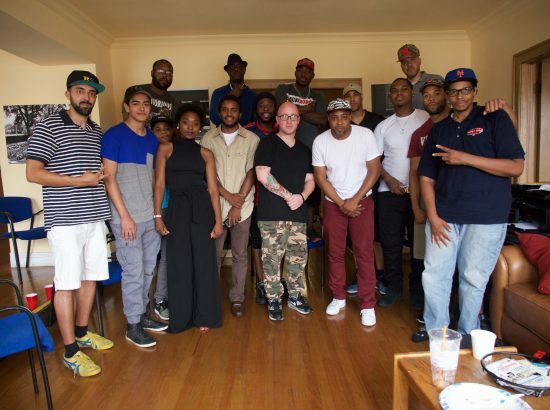 Meet the Chicago Program Leaders!